Many people strive to attain a lighter, brighter looking skin but often to no avail. As majorly procedures are focussed on brightening procedures on face, often there is a sharp contrast between the color of face and rest of the body. For such clientelle who have been fighting a lost cause for skin brightening, Dr Vrushali has devised a cocktail of internationally procurred mix of antioxidants - Glutathione, N acetyl cysteine, Vitamin C and E th at provide full body skin glow and brightening. The above mentioned anti-oxidants are naturally present in the body, that inhibits the production of melanin which in turn has a skin whitening benefit .However due to pollution, stressfull lifestyle, smoking, medications, adulterated food and water, we are in a negative balance in the antioxidant reserve of our body. Externally administered anti-oxidants make up for these negative balance and restore the normal skin color and add glow. 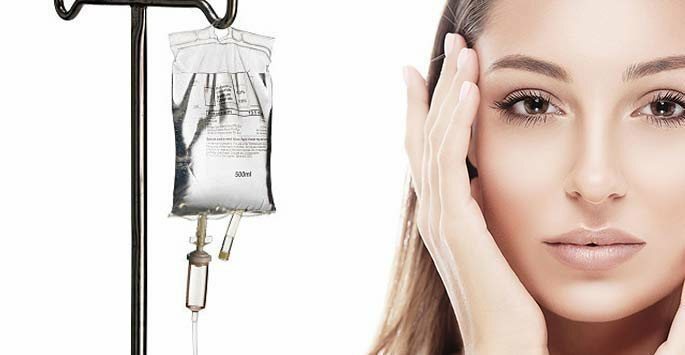 These skin whitening/ brightening injections are administered thru' saline intravenously on a weekly basis that generally last less than an hour. 5 to 10 sessions are required to achieve desired results and thereafter the client can be shifted on antioxidant tablets or 3 monthly injections routine for maintenance of results. Special care is taken to ensure the client is not allergic to any constituents of the injection by performing a small test dose before administering a full dose. These injections are very safe and in tune with the FDA standards of safety for skin whitening injections. In additon to balancing out an even skin tone and skin whitening, these injections also provide immune protection, stress defense, a general sense of well being and thus address a holistic sense to beauty.